Special Introductory Pricing! Complete Installation Kits. 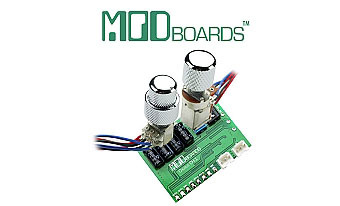 The MODboard concept is simple- Take the best vintage style analog guitar effects, miniaturize them, and mount them on a completely modular circuit board. Add the right output jack, knob setup and switching setup to accomodate your guitar, and you're ready to roll. A few simple solder connections for input and power, then everything plugs in with instantly removable modular connectors. 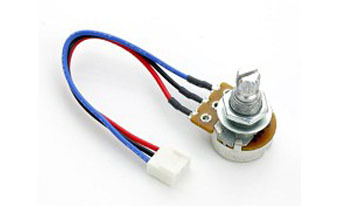 We sell each board in a COMPLETE installation kit. Feel free to customize your installation, adding concentric pots and knobs- whatever suits your guitar and playing style.